Top Notch Violins is a stringed instrument store with in the St. Louis area. 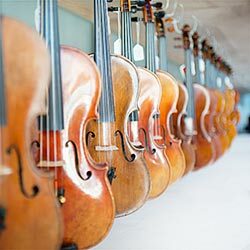 They specialize in violin, viola, cello, and bass rentals – as well as selling new and used instruments. 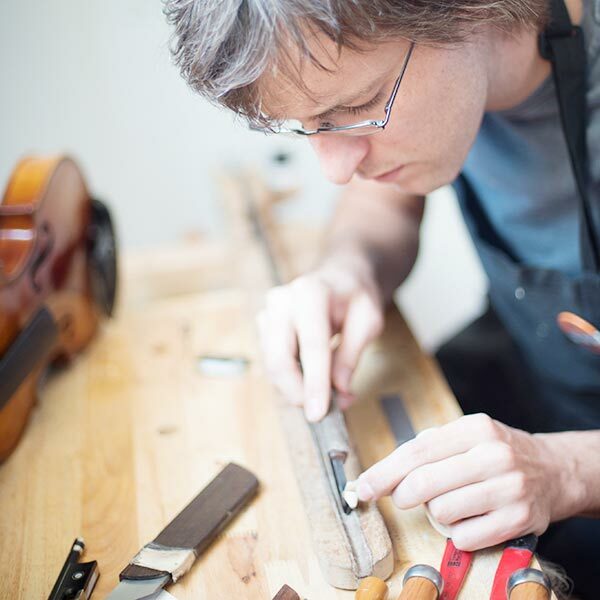 They have a workshop staffed with master craftsmen who can repair instruments. 1) Their four owners work in the store and workshop. 2) They share two of my passions: music and children. 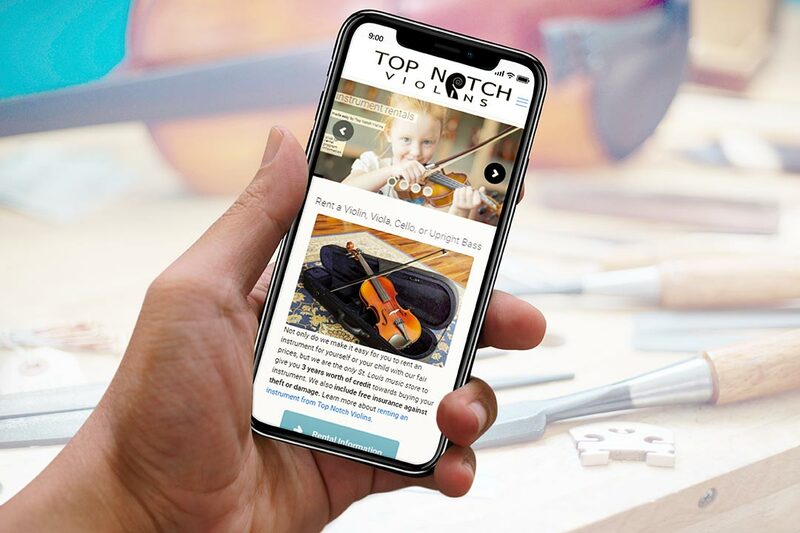 Top Notch Violins was not only starting from scratch (no business, no website), but they were going to be competing in an established market against web sites that had been in place for 15+ years and ranked very well in Google. 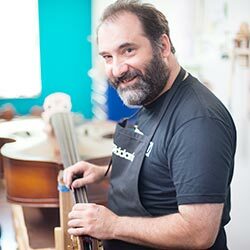 A modern, clean, light web site with quality photos of people, not just instruments, would instantly set Top Notch apart from the other violin stores. The site was built to help highlight the features that differentiate Top Notch from other St. Louis violin stores. And, building the site using proven SEO would, in time, help the site rank well in Google (which it now does) so that visitors would actually see the site. 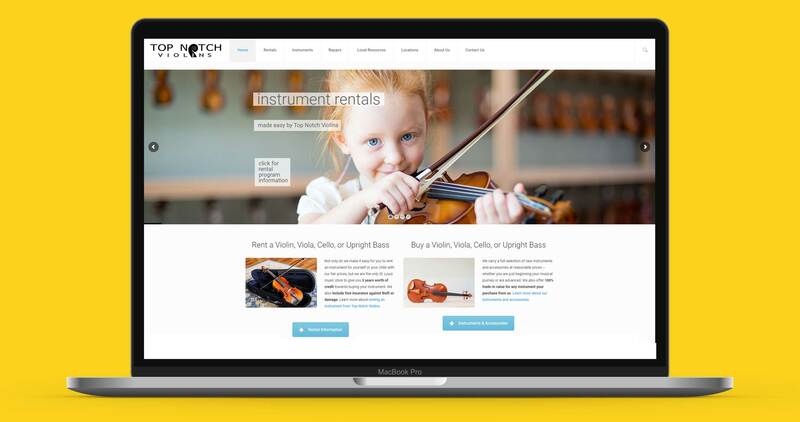 Starting out, the Top Notch site needed a strong emphasis on instrument rentals. They knew that their long-term success would be built on rentals, and so the initially launced web site had a signficant focus on rentals. Over time we have expanded the “new and used” instrument section of their web site. The web site also needed to function well on mobile devices: from smart phones to tablets. 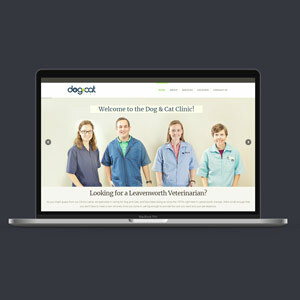 Every web site I create is a “responsive” web site, meaning the elements of the site resize and rearrange themselves to best fit whatever device the site visitor is using. The site was launched in 2014 and has played an important role in the store’s success. Does the site have thousands of visitors a month? No, it doesn’t. Which brings up something important for small businesses to be aware of: when you are dealing with a niche site in a small market, you shouldn’t expect to have thousands of site visitors. The market simply is not that big. 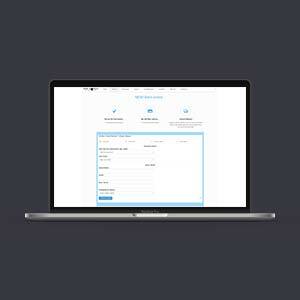 Rather, what your site needs is good exposure within your market. And, if you search Google for “St. 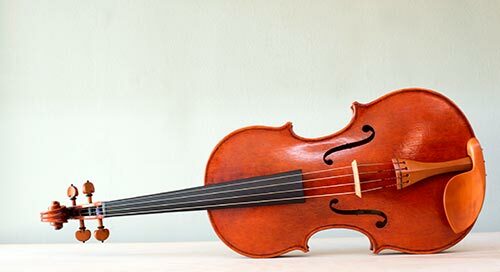 Louis Cello Rentals” or “Violin Rentals in St. Louis” or “violin stores in St. Louis” you will find that Top Notch has very good exposure.